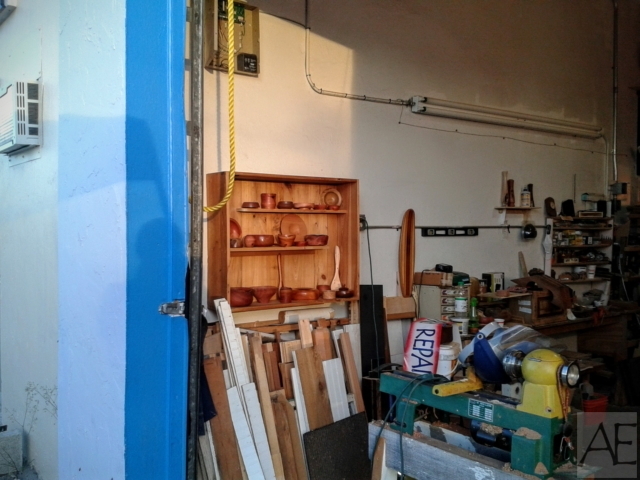 This cypress wall hung cabinet was originally used as my tool cabinet, but I didn't care much for that type of storage system. 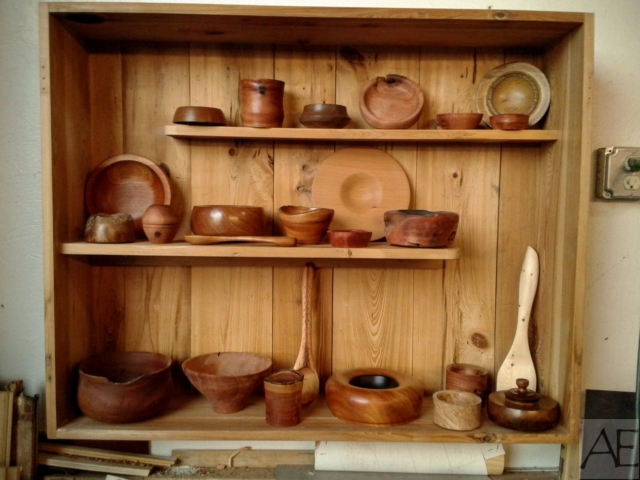 So I have removed the doors and used some of that wood to add a couple of asymmetrical shelves to showcase some of my woodturned bowls and hand carved spoons. Let me know what you think in the comments section and if you like what you see here you can find out more about my shop by following me on Facebook and Pinterest.